Christmas and New Year are behind us. It got cold in northern hemisphere and in many places there is plenty of snow. During the winter time many of you will spend more time online at home or during travels. Especially that at southern hemisphere it is summer holiday time! 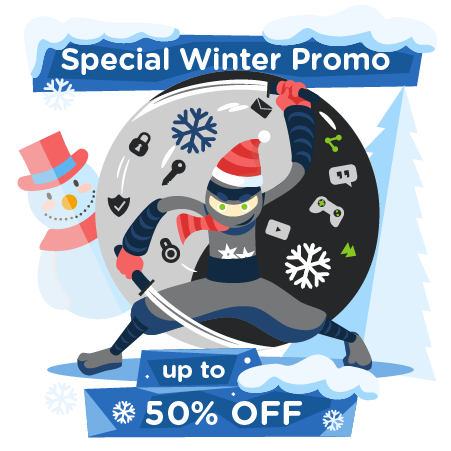 So, to help you all out staying safer and more private online we are running Amazing Winter Promotion of VPN & Smart DNS! 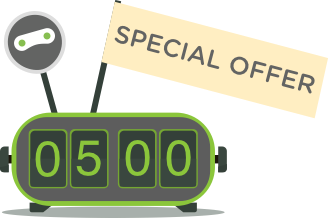 If you now choose any billing cycle of our Ninja Power VPN & Smart DNS plan and we will give you a special, one-off discount up to 50% OFF! Bear in mind that this discount is not a recurring one and you will pay less only on your first bill. The longer billing period you will choose the more you will save on your first payment. No code is needed! All you have to do is to choose the billing period you want and subscribe. That is it!